The Executive Lounge Is Not Your Private Lounge! We are sometimes thrifty when we travel. It is great to shop in the market and go to a park for a picnic when we travel. We book our travel at days and times of the year that are cheaper. 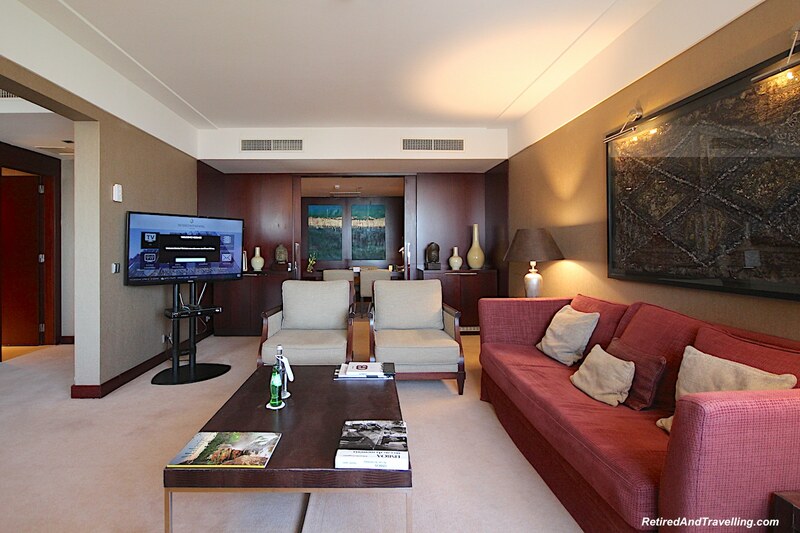 But we do love our executive (concierge) lounge perks! When we get lounge access, whether we pay for it or get it as a perk, we treat it as a privilege. The expected executive lounge etiquette is clearly posted. But it is disappointing when the lounge is treated as not as a shared environment but like it is personal lounging space. I don’t often use our blog to rant. I would rather share our travels, our tips and praise those organizations that are delivering awesome customer service. But on our travel in 2018, I got so fed up with the bad behaviour I observed in the executive lounges. I whined to David, stewed about it and sometimes commented to lounge staff. We booked a lot of luxury travel in 2018. While many of the lounge experiences rated excellent on one or more elements, far too many failed on enforcing executive lounge etiquette. If we fly more than about 4 hours, we try to book Business Class if we can. That generally gets us lounge access. 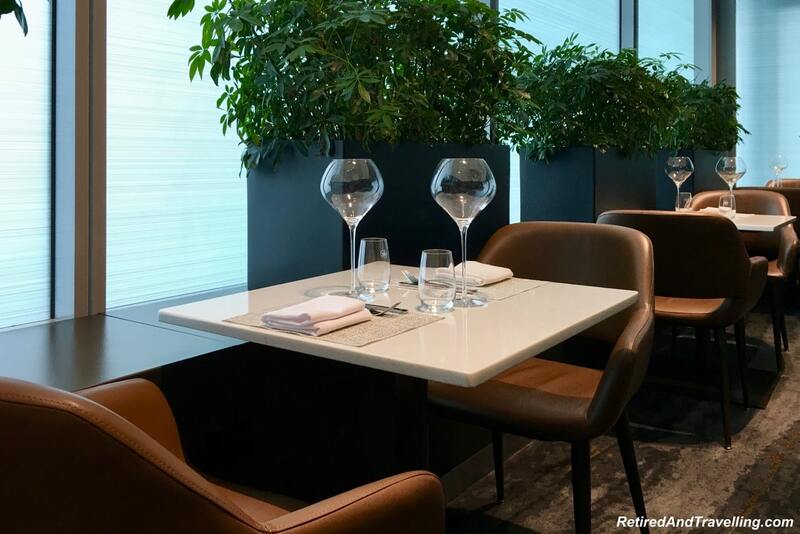 But this year we were excited when we learned that our focus on gaining reward status in 2018 got us Air Canada Altitude benefits that include lounge access! 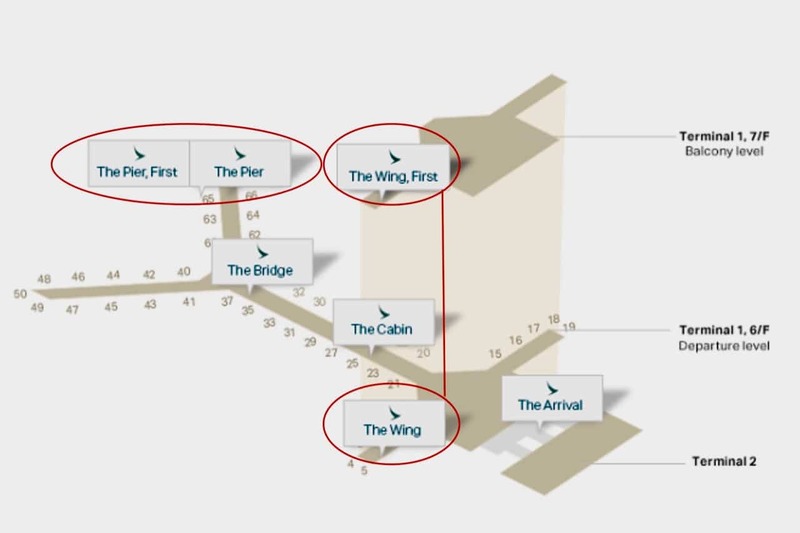 But most airline lounges tend to be crammed and noisy spots that are just a small step up from the crowds at the gates. On our trip to Shanghai, we were excited to get access to Air Canada’s Signature Suite with our business class tickets. This was finally the quiet and exclusive lounge experience we wanted. 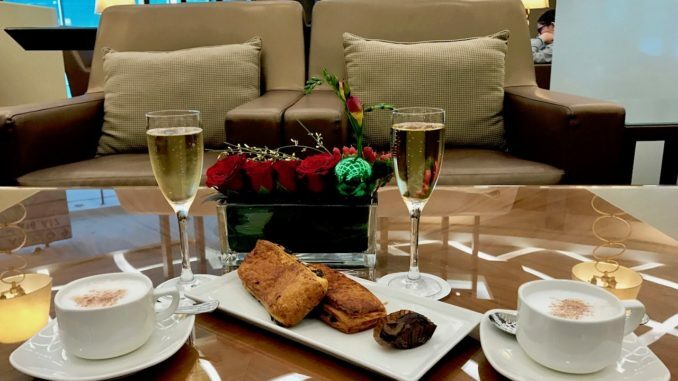 It was one of the few airport lounges where we felt like executive lounge etiquette really was practiced! 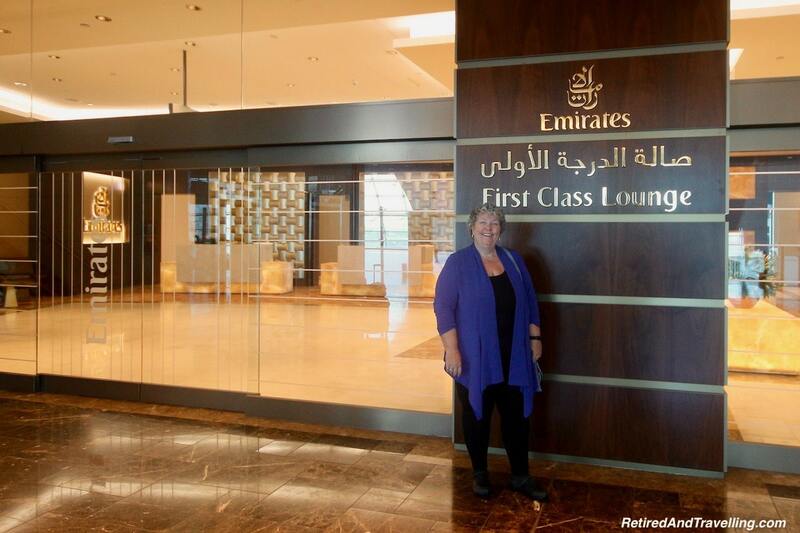 The only other time we felt like we were truly pampered in an airport lounge was when we flew First Class with Emirates. 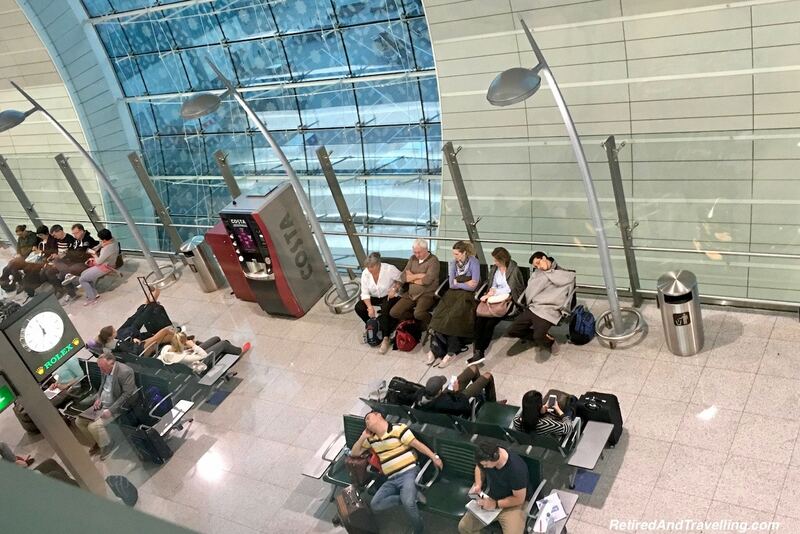 The lounges in Dubai were large, quiet and reserved. A genuine treat! Airline lounges are not a great perk when people forget basic executive lounge etiquette. Often when we travel, we book rooms with executive club access. We worked hard to build our Marriott Rewards status and were delighted that our Platinum Premier Elite status got us lounge access in hotels it was available. We like to have the option to relax or work in an area bigger than our room. Even if we do get some sweet suite upgrades! 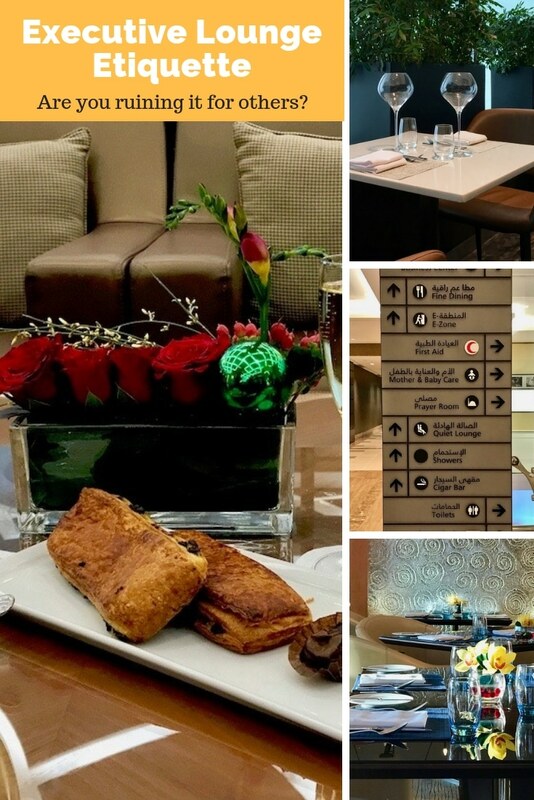 If our travel days were hectic, having breakfast in the executive lounge could be a much quieter way to start. Drinks and appetizers at the end of the day was a great way to relax. If we know we are going to use a hotel to take a break, executive lounge access has worked for us. 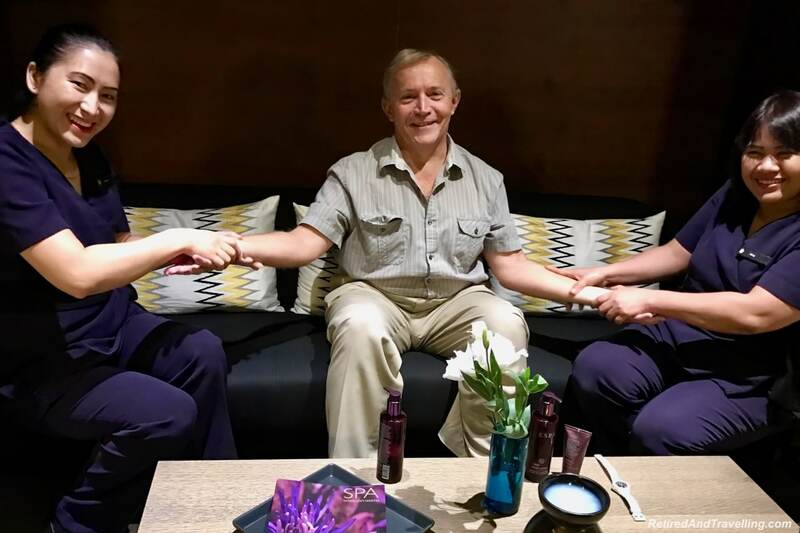 When we stayed in Dubai, the lounge even offered hand massages! But this year we found that hotel executive lounges in many hotel brands no longer looked like such a great idea. Many were closed on weekends. A lot were understaffed. Most maintained no control over who entered, so quickly became almost open-door access. Families book and don’t pay for all of the people in the room. Or lounge add-on rates are so ridiculously low, that everyone piles in for “free” food. And the quiet, relaxing atmosphere of hotel lounges was quickly destroyed when people forget basic executive lounge etiquette. Hotel rooms with executive lounge rooms may not be for everyone. Or for every trip. It has been great when we really needed to just rest between trip segments. After our busy 4 weeks in China, we needed a break before we headed to Japan for another 3 weeks. But having executive lounge access may keep you in the hotel more. If you are tired and everything is easily at hand, you may be tempted not to head out. 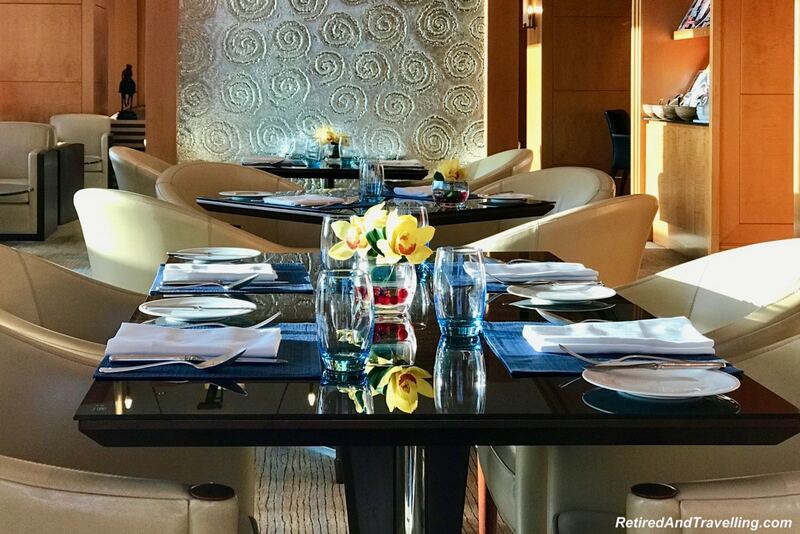 Although once we have recovered, we find executive lounges to be just great bases to start and end our day. As good thrifty people, we sometimes are tempted to eat many of our meals in the lounge. We like to have a bigger meal at lunch rather than dinner when we travel. So we often eat when we are out exploring. But some days we are tempted to survive at dinner time with a drink and appetizers in the lounge. Or with room service! But eating at the hotel means we may not always experience the full food scene in places that we visit. Having a list of great restaurants to try in a new destination ensures we are tempted to head out! We like to relax or work in executive lounges for a change of scenery when we travel. But it is not always a quiet tranquil space. Several times on our visit in China, we had truly exemplary first class customer service. But we had only one outstanding lounge experience! It is not only bad executive lounge etiquette that may make us book rooms without lounge access. Every executive lounge we have visited clearly posts the “rules”. Sometimes it is on the card in our room. It is usually posted somewhere in the lounge. And maybe people don’t read it. But most of the rules should be common sense. 1) Wear proper attire: Sweaty gym clothes, hotel slippers or cutoff shorts at dinner are never acceptable lounge attire. 2) Don’t use your cell phone (or play your devices out loud): People are sometimes so loud! With no concern about sharing personal or business conversations. These days, I am often tempted to travel with cheap headphones to hand out. 3) If you bring your children, keep them in control: Children screaming, touching all the food at the buffet table and jumping on furniture is not acceptable in any public shared space. 4) Eat in moderation: Often lounges have long hours and put out small plates of food at a time. Don’t load your table with food. And then leave half of it uneaten. 5) Don’t bring your party to the lounge: It is not ok for a group to take over the public space in the lounge for their own private party. Even if the drinks are “free” ! Sometimes a hotel will actually be proactive in addressing potential issues. One hotel we stayed in recently actually put signs up and created a separate closed area for families. Many lounges have separate business conference rooms. Larger groups should be asked to use them. Every single person in the lounge has their own private room they can go to. The executive lounge is not that private space. Practicing executive lounge etiquette is just polite and considerate. What Is Done When There Are Executive Lounge Issues? 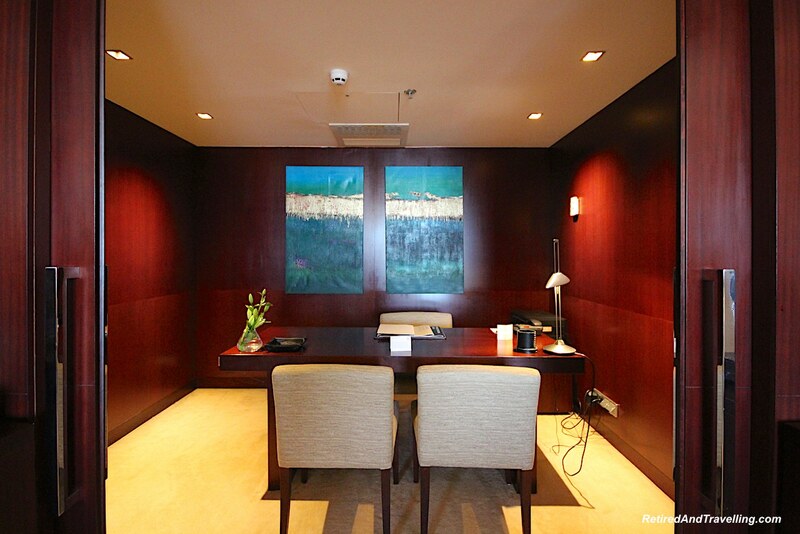 Enforcing the executive lounge etiquette is the job of the lounge staff and management. It should not be your job or mine. But in so many cases, we have seen staff ignore the behaviour done right in front of them. 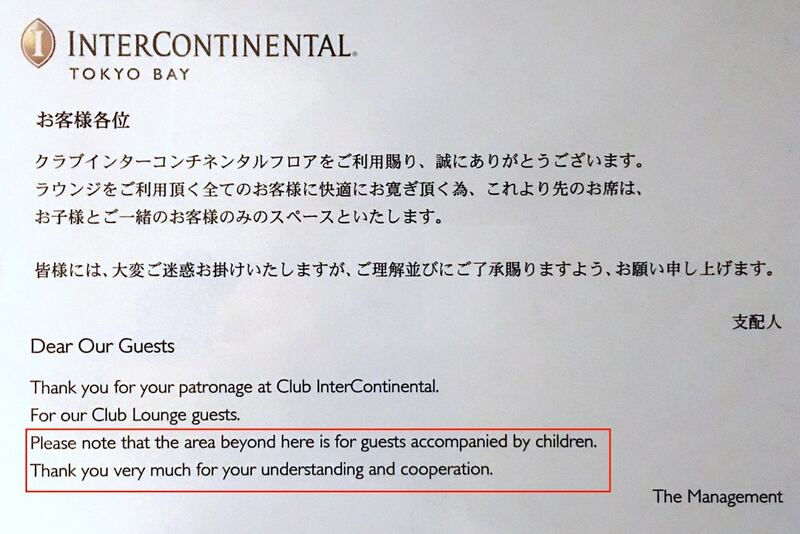 Unfortunately, we have observed that when staff have not reinforced the rules, then the guest behaviour got worse. In far too few instances, we have been totally delighted to see executive lounge staff deal with issues. It has always been handled professionally and discretely. We have returned to that hotel over and over again! In most cases, if you comment to staff, they will say something. But sometimes they have just smiled and moved on. I do feel sorry for harried and over-worked executive lounge staff. Many want to do their best. But hotels do not always properly staff hotel executive lounges. Management should know how many people to expect. And if the numbers are higher than expected, maybe it is because the staff are not enforcing access rules. If you pay for lounge access, you should be able to expect staff to enforce executive lounge etiquette. We love when we can really enjoy executive lounge access. It has been is a life saver on some of our busier trips. But executive lounge access is a privilege. Even if you pay for that privilege it should not be misused to the point where others cannot enjoy it. And the job to enforce the reasonable rules rests with hotel management and the lounge staff. If a hotel is going to charge premium rates for lounge access, they should ensure it delivers on the promise. We find ourselves reviewing comments on hotel lounges these days before we commit to paying a premium for access. Too many times in the last year we have been totally dissatisfied. Even some of our favourite hotels have gone significantly downhill. And we will be changing hotels on our next visits. Seems to me like taking executive lounge etiquette seriously should be an easy thing to fix? Or are executive lounges going to have to become tiered? 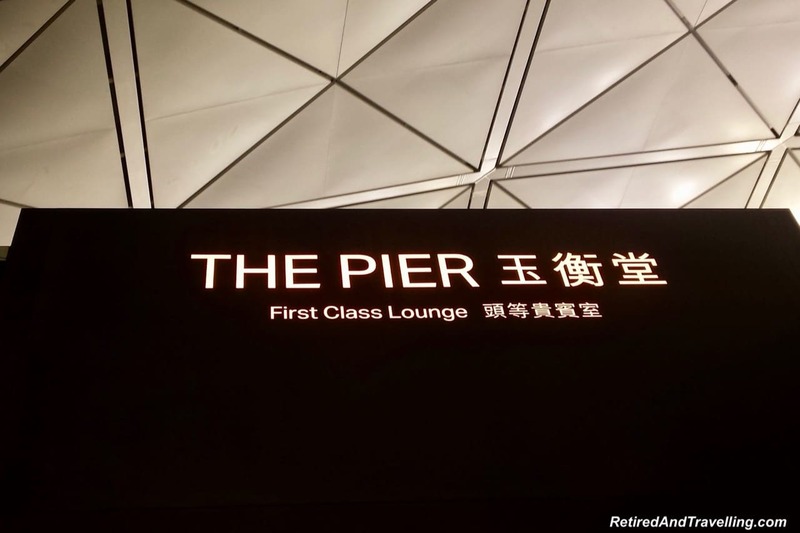 Will they need to have a distinct separation that brands like Emirates and Cathay Pacific put in place between Business and First Class lounges? 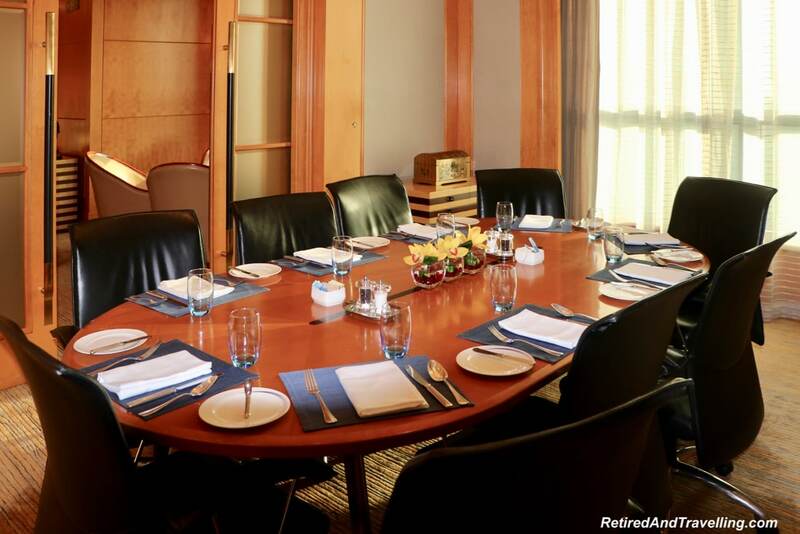 Do you practice good executive lounge etiquette? Do you have tales to share? Loved your article! I couldn’t agree more! We usually don’t use lounges. We prefer short layover times and direct flights. But if we had to, I agree with you 100%! Sometimes we all need reminders. 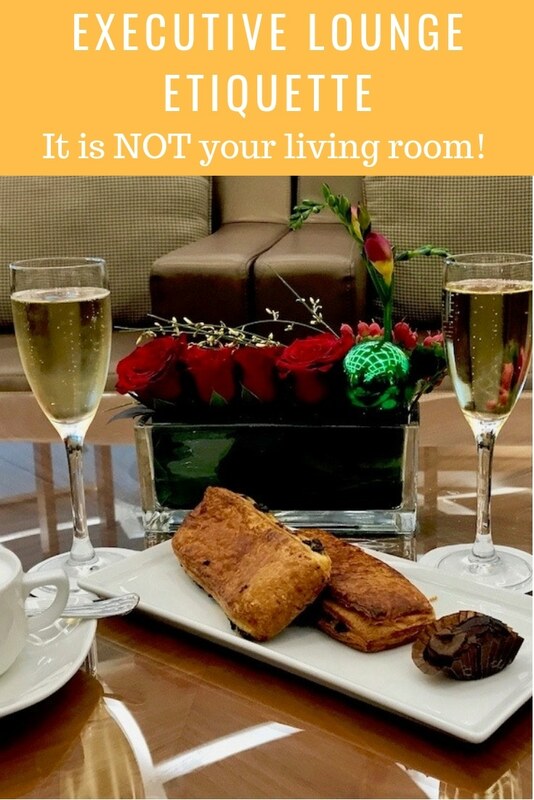 Agree we should maintain the rules decorum of lounges. Even I get super angry when people heap up their plates and then waste almost half of what they had taken. And people listening to music loudly or watching something on loudspeakers, completely disregarding other people, cant even stand that! Wish people were more sensitive when they are in public spaces. Having access to an Executive Lounge during a layover certainly makes a huge difference to the journey. 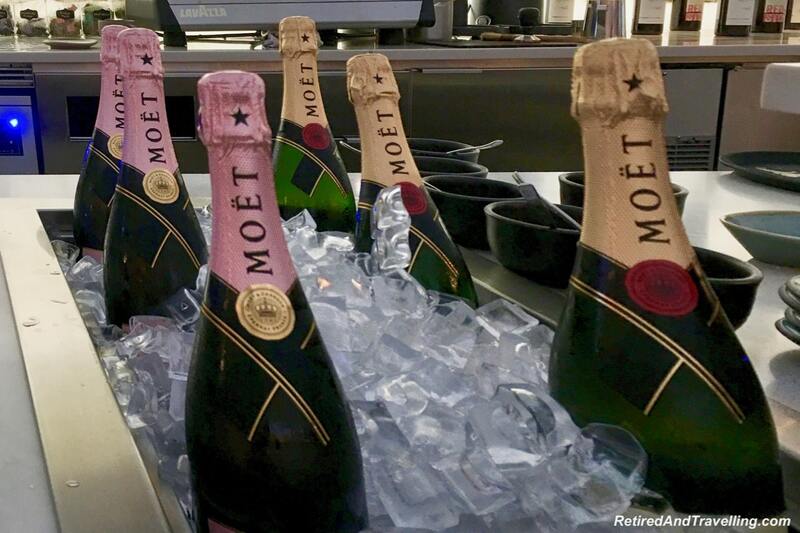 It’s fun to sit back and drink champagne, knowing that you’ll be nice and relaxed before boarding your next flight. Don’t think I’ve ever been in an executive lounge. At least not that I can remember. Glad I read this, because I think I’d be one of those ‘country comes to town’ folks because I’d be so excited. I’m totally with you on the families and large groups taking over an area though. THAT scenario I’m very familiar with. Great topic to pick for a travel post. People don’t realize the importance of proper etiquette in lounges. Thanks for including the point about out-of-control children…I don’t understand why that happens anywhere? It amazes me how people act in lounges. Though I find they are usually worse behaved in airport lounges than hotel ones. My pet peeve are feet on seats, and people face timing on their phones. Do love cocktail hour to wind your day down and start your evening before heading out form your hotel. It’s the little things. 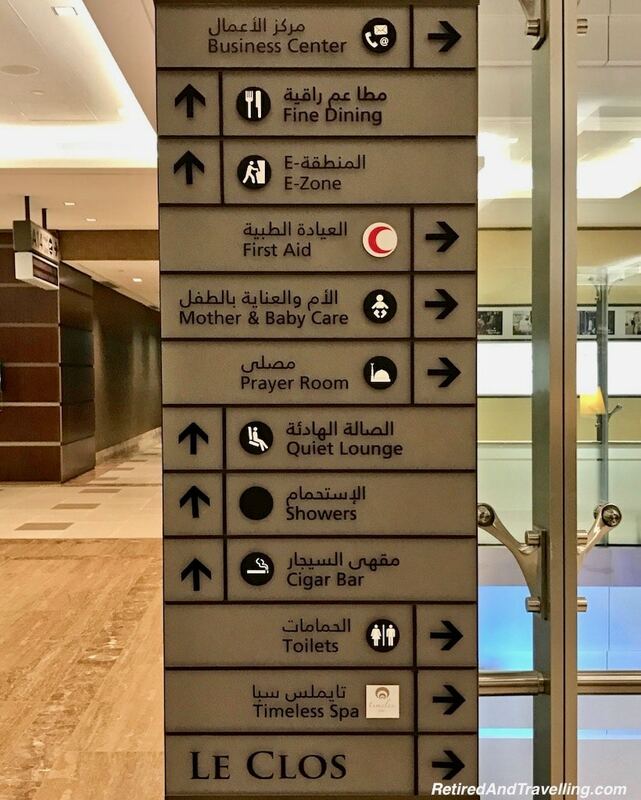 I have hardly been to executive lounges to be honest, except the one in Dubai, which you also mention, and that one seems quite spacious, quiet and classy, as one would expect any lounge to be. Can’t really imagine what other lines are like, haha. But I am surprised that people treat them like the living room of their homes! OMG, we are so much alike! Etiquette goes such a long way and seems to have gotten lost these past few years. You reiterated such good points, some that people unfortunately just don’t get. My biggest pet peeve is the letting kids play games on a device or phone with the volume on…and on planes. That makes me so mad, though adults are every bit at guilty, I suppose.